Please stop at the Circulation Desk to borrow, return or renew your items. Requested items are held at the Circulation Desk for one week. We will notify you by phone or email when your requested items are ready to be picked up. If you have any questions you can reach the Circulation Desk at (413) 525-5400 , ext. 1511. To obtain a library card, you will need a photo ID with your current address. 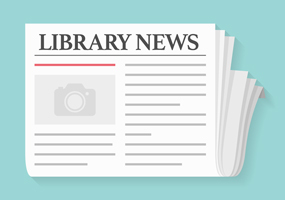 All Massachusetts residents are entitled to an East Longmeadow Public Library card. There is no charge for a library card. Lost or misplaced cards will be issued after showing proper identification and paying a $2.00 charge. Library patrons who are issued a card for the first time have the option of a standard credit card size card or a new key tag library card. As of October 1, 2010, all out-of-state cardholders, including new registrations and re-registrations, will be assessed a $38.00 yearly fee per card. Current East Longmeadow taxpayers who present a copy of their current East Longmeadow tax bill. For your protection and security, your library card is the preferred way of accessing your account.You will be required to present your library card in order to check out or renew materials. By using your card, you show that you approve of each item being checked out to your account—each card is specific to each borrower and is not transferable, even to another family member. Please have your card handy when you’re ready to check out items. Lost or misplaced cards will be issued after showing proper identification and paying a $2.00 charge. Library patrons who are issued a card for the first time have the option of a standard credit card size card or a new key tag library card. If you are a registered borrower at any of our full member libraries, you can log in to review your library record online. While logged in, you will see a list of materials you have checked out, outstanding requests you have for library materials and any fines you may owe. While logged in you may renew your items, or place a request for an item that is either checked out or only available at another library. You may also pay fines of $5.00 or more online using your credit card.